Posted on September 28, 2014	by A.J. I wanted to build a monitor that hooked up directly to the network with an ethernet cable so that there are no other gadgets like a phone or computer needed to send the data to the cloud. The monitor would be in places in India and elsewhere where power could go on and off and also where a person may not be present at all times. After some trial and error in playing with the Raspberry Pi, Arduino Yun, Arduino Uno with the Ethernet shield and the Arduino Ethernet board, I finally settled for the last choice aka the Arduino Ethernet. While it costs $45 (vs $35 for the Pi), it was very stable across power outages and loss of network connectivity after I added code that tested the Ethernet connection every 5 minutes. Here is the completed Pickle using the PPD60PV-T2 – only missing item is the led. Sunon or Adda DC Fan. 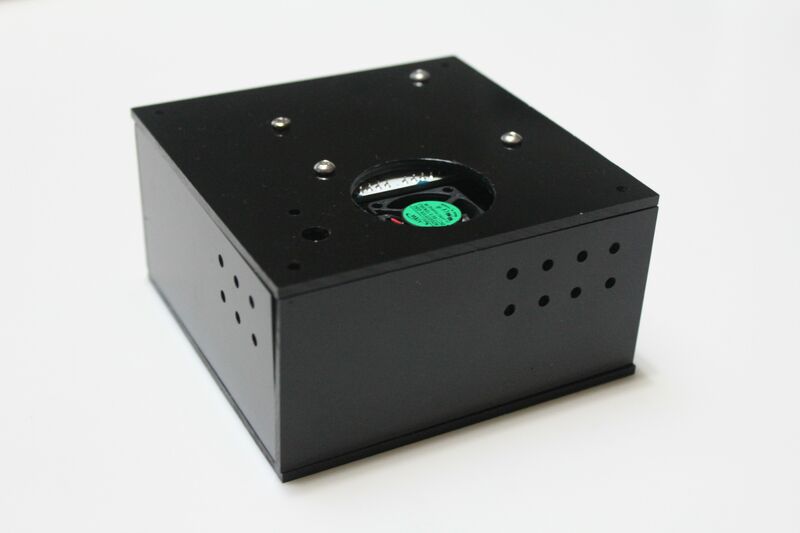 Currently I am using Sunon GM0502PFV2-8 25mm 5V brushless fan. 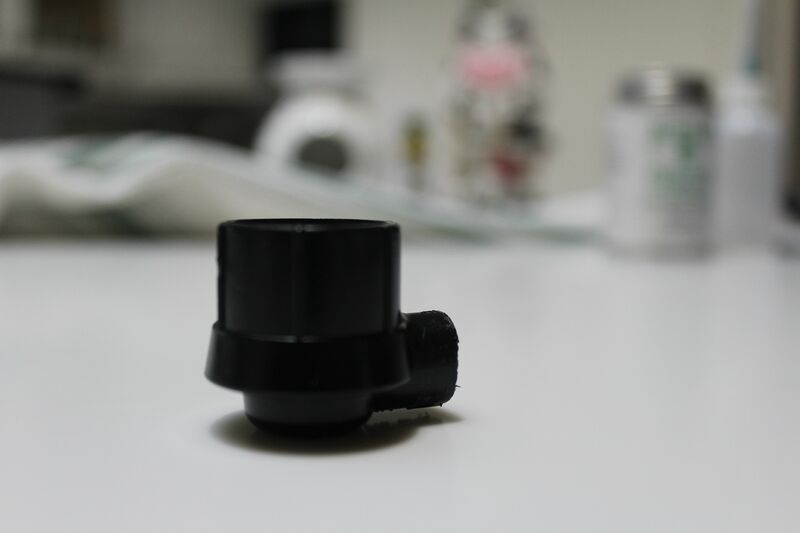 Screws, standoffs, Rain Bird sprinkler elbow, Sugru and black resin epoxy from TAP Plastics. The tricky part for me was adding a fan to the monitor. I wanted a way for air to come in but not light! After much trial and error including using a huge USB fan in a cardboard box, I figured out a way to directly attach the fan to the T2 and that is what I have been using since. Now how this attaches to the T2. 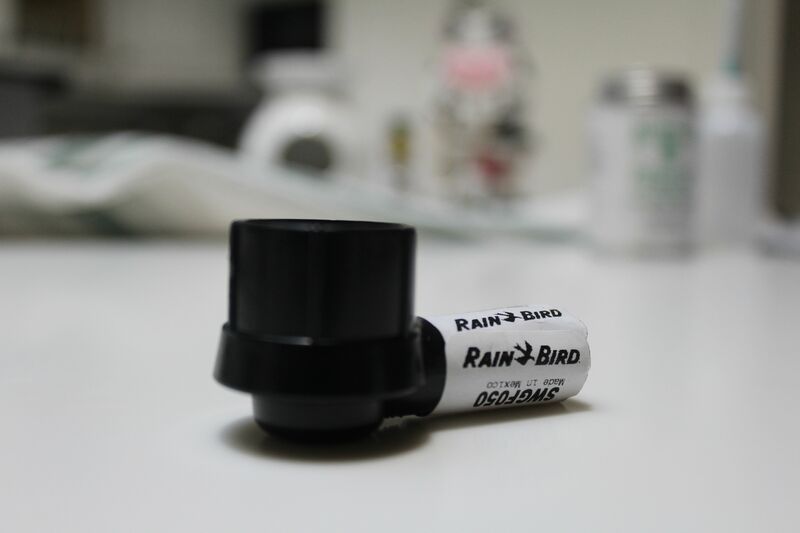 The Rain Bird attaches to the T2 and the Fan attaches to the Rain Bird with the epoxy and with black sugru. In the next post (Part 2) I’ll walk thru in some more detail. Thanks Arjan, Yes I am aware of the SCK – it is related but I am focusing only on PM measurement and calibration. I found that the specific gas measurements are easy to do but hard to calibrate. I really like the SCK app software though. 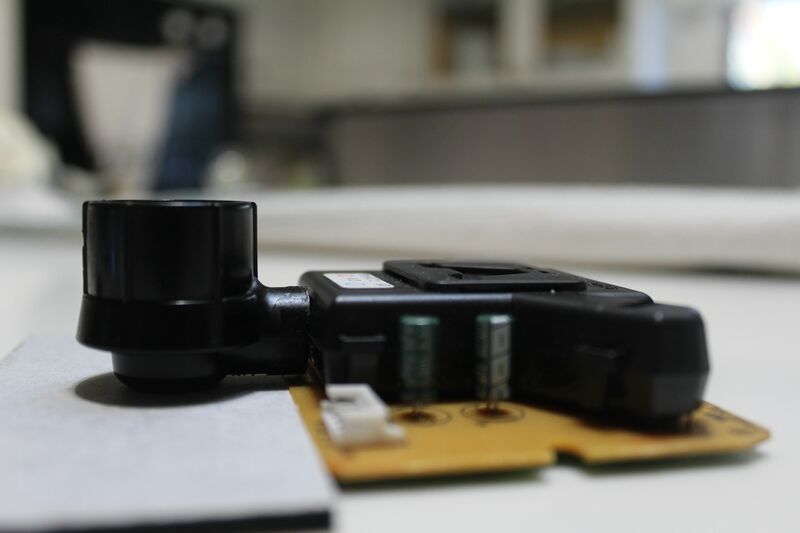 Where did you bought the T2 sensor and the fan? How much? Here the Dylos chart has the same forme as the PPD42. The T2 costs me $150 in quantities of one, though Shinyei said in large quantities it would cost $50 (or less). Still too expensive, but I had raised some money for my project and so purchased it. Chris Nafis and a bunch of other people have measured the PPD42NS too – but it is not weird because we are comparing different numbers. I am using the PPD42NS at much smaller time intervals (30 secs) and correlating to PM2.5 (ug/m3). 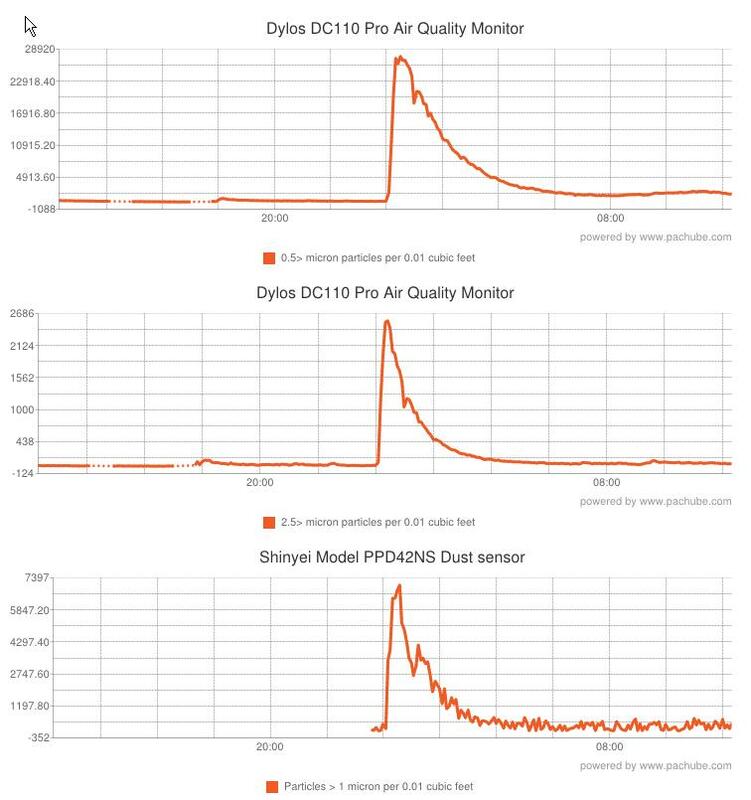 Both Dylos and PPD42NS are measuring particles per 0.01 cuft. I am trying to build a cheap PM2.5 monitor that responds “quickly” from these photoelectric parts. I’m using a PPD42 and an Arduino Uno to measure dust. 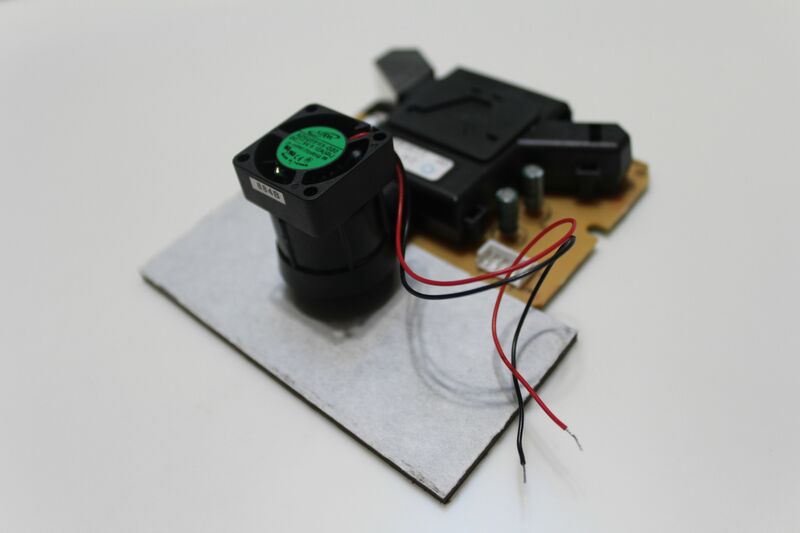 The sensor is powered by the Arduino’s 5V output. I realized that, when I power my Arduino from the USB port, the dust values are too noisy and the concentratio too high. When I use a 12V power source (and remove the USB connection), the concentration is lower and seems to be right. Igor, if you power the PPD from the Arduino’s pins (which pin exactly are you using ?) then you need to power the Arduino with more than 7V, 9V should be fine though it will take 12V as well. But you cannot power the Arduino from USB and expect 5V to drive the PPD.